Today, almost everybody knows about acupuncture, but most of the people have never heard about Scalp Acupuncture or Cranial Acupuncture. Scalp acupuncture is a relatively new development in the field of acupuncture. It was introduced to the Western World in 1970’s. Scalp acupuncture is a merging of modern neurophysiology of the brain with the ancient science of acupuncture. Scalp acupuncture utilizes acupuncture zones instead of acupuncture points. 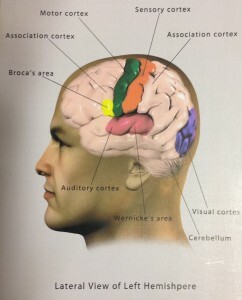 These zones largely correspond to the zones of the brain cortex. Relationships between zones of the scalp and associated parts of the brain cortex are striking in respect to location and function. Even principle of contralaterality is observed in the scalp — left side of the brain (left hemisphere) is in charge of the right side of the body. 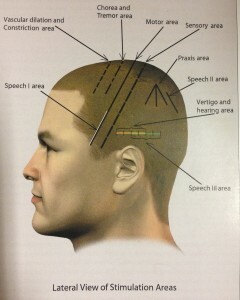 Stimulation of the zones in left side of the scalp affects the right side of the body. History of Scalp Acupuncture is vague. Chinese trace it to an unnamed ‘barefoot’ doctor (a kind of local healer in Chinese village) and later to Dr. Huang Xue-Long in 1934. Scalp Acupuncture miraculously re-surfaced in 1970’s. I use the word ‘miraculously’ because none of the Russian physicians who studied acupuncture in China in 1950s and 60s (and I have learned acupuncture from them) had ever heard about it. But I know for sure that Scalp Acupuncture really has some roots in Chinese folk medicine. When I traveled in the villages on the Russian-Chinese border largely populated by ethnic Chinese, I observed techniques similar to Scalp Acupuncture used by local ‘barefoot’ doctors. In Scalp Acupuncture, needles are inserted along the zones rather than into the points. Needles are threaded under the skin of the scalp to stimulate a particular zone. Scalp Acupuncture is primarily used to treat neurologic conditions, like sciatica, pain in the low back, legs, neck, arms, migraines as well as hemiparesis after stroke. Scalp Motor, Sensory and Chorea Zones are located along the motor and sensory zones of the brain cortex. Upper 1/5th of these zones correspond to the leg, mid 2/5th -to the trunk and arms, and low 2/5th to the hand, and face. This topography is very similar to the motor and sensory zones of the brain cortex. 30 years ago I also introduced Cranial Acupuncture for prevention of pre-term labor. We conducted a big study with astonishing results. Initially we treated patients who failed to respond to traditional pharmacologic treatment. Once it became obvious that results of Scalp Acupuncture were by far superior to pharmacologic treatment we changed the status of this method to ‘first line treatment’. I had a lot of success stories using Scalp Acupuncture. I am fascinated by human brain. It is the most important organ in the body. Brain is in charge of every event that happens in the body. In my practice I use methods that restore and retrain brain to function at its optimal level. It ensures proper function of hormonal and immune system, which, in turn, enables effective healing.